Aronit is a material based on sintered metal which produces very low distortions, even at high loadings. 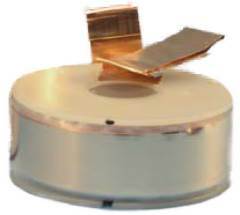 This material, in combination with specially tuned coil formers, allows the material coil to have a low ohmic resistance with excellent value for money. Aronit choke coils are used wherever high load capacity and low distortion need to be achieved at low cost. 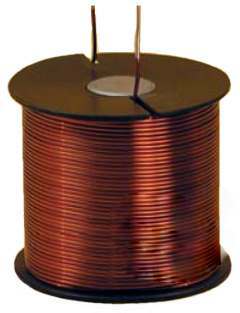 Winding upon winding, the foil coil is the most physically ideal coil type. This can be seen for example in the quality of the coil that remains constant for up to 100 kilohertz. Moreover, the undesired capacitive part of this coil is particularly low so that very high frequencies are also effectively blocked. In addition, the large surface area of the foil also improves the effective conductivity for alternating current (skin effect). The high mechanical stability of the design is also remarkable: Due to the large contact surface between the individual windings and the tough-elastic isolation of the polypropylene foil, the vibrations of the individual windings are effectively eliminated. More information on vibrations of coils.